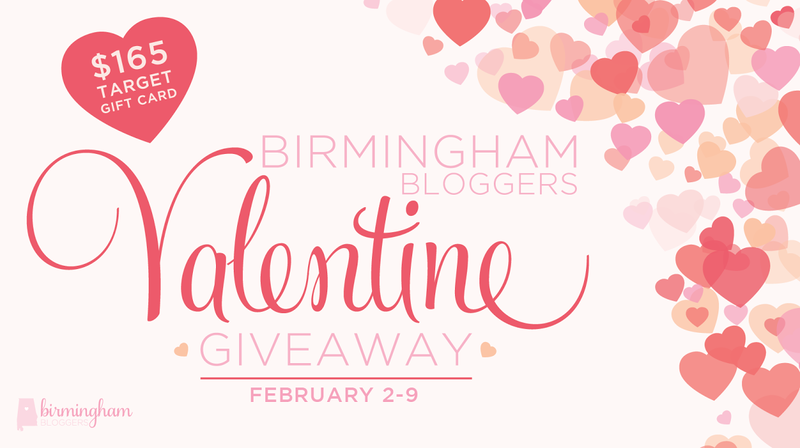 I’ve teamed up with bloggers from Birmingham Bloggers to bring you a Valentine’s giveaway! Enter below for your chance to win a $165 giftcard to Target. Happy Valentine’s Day!